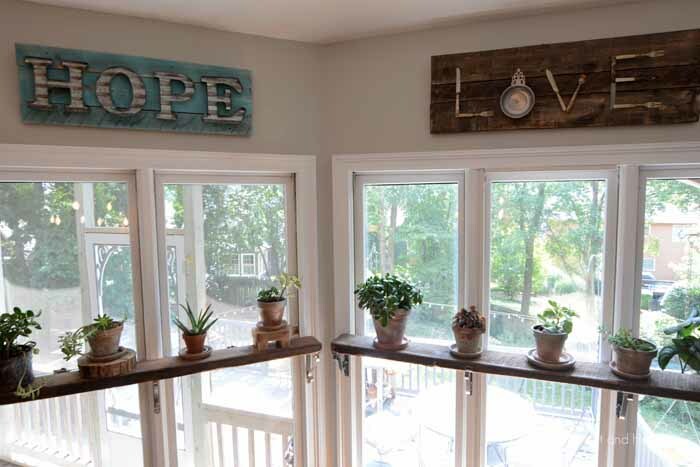 When you add elements to your home it’s an opportunity to express your personality and even remind yourself what’s important to you and your family. 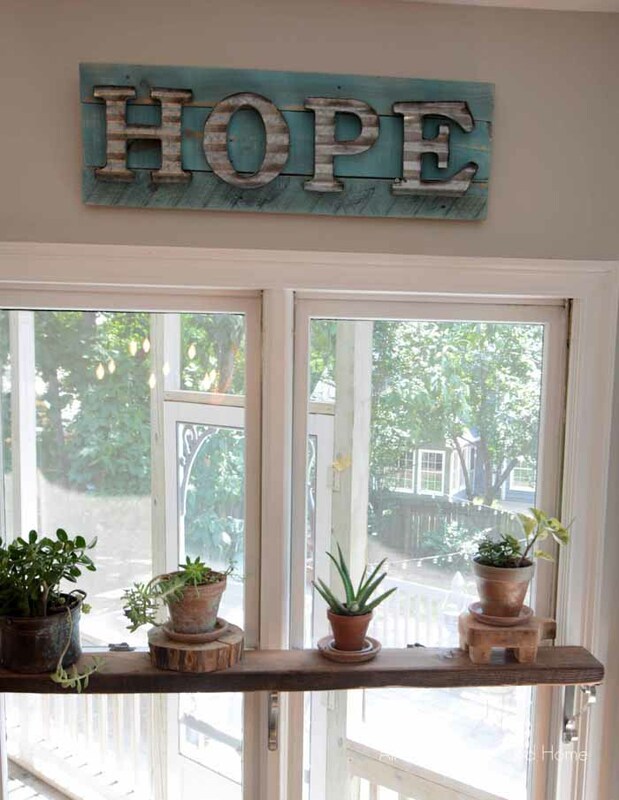 I have this idea for my breakfast room that includes three rustic signs and this DIY HOPE sign is the second one! I’ve been trying to figure out if I can cut sheet metal into letters, because that’s the look I wanted. Then the other day, I was in Michael’s and these letters were front and center- perfect! 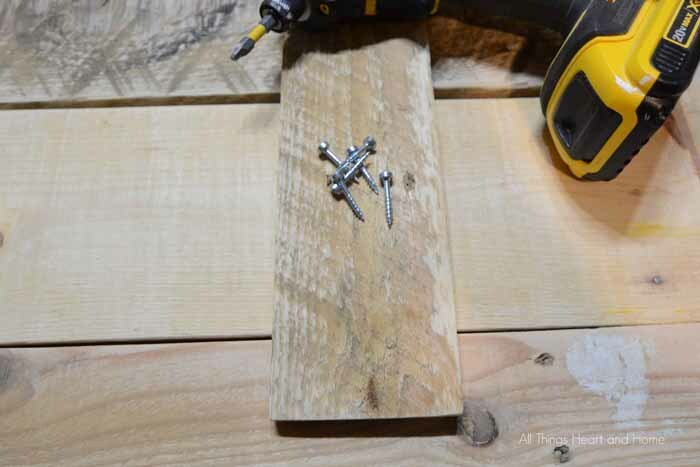 Making a pallet sign is super easy, assuming you have some pallets. 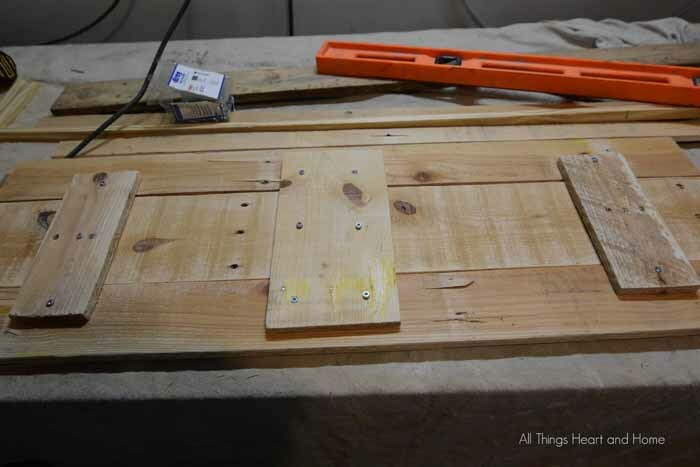 Simply cut the wood to the desired length and use as many pieces as it takes to get the width you want. Sand the wood so that all the sharp edges are kind of rounded and the wood is mostly smooth. 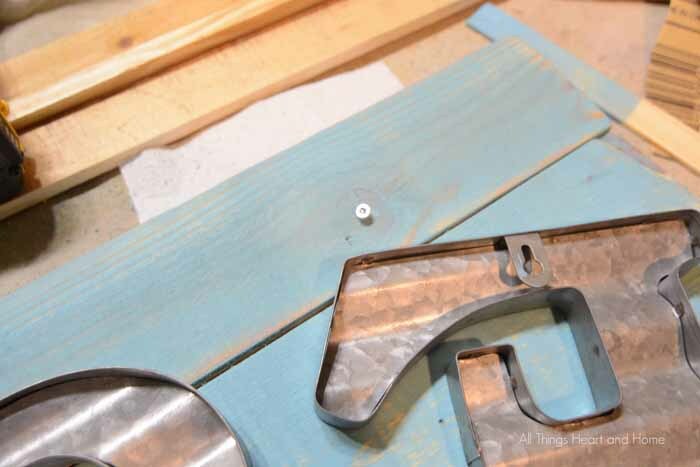 Cut smaller pieces to connect the wood. On the back side screw the smaller pieces to each of the long pieces. Now you’re ready to stain or paint! Love that, Robin! Saw those letters and thought they were great, but I just don’t have room for anything more. I love this, Robin! I NEED this! 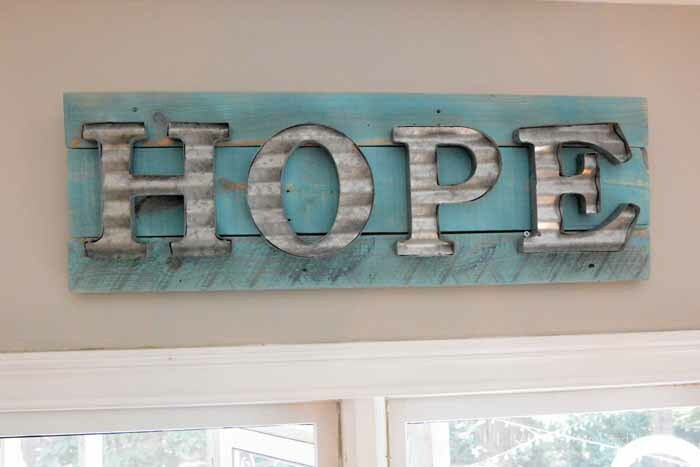 And you’re right…hope is teal! Love the sign and I love your shelves. Love this! Great tutorial, as well. Thanks for sharing! Beautiful! It looks really good on top of your window giving that vintage look. I love it! 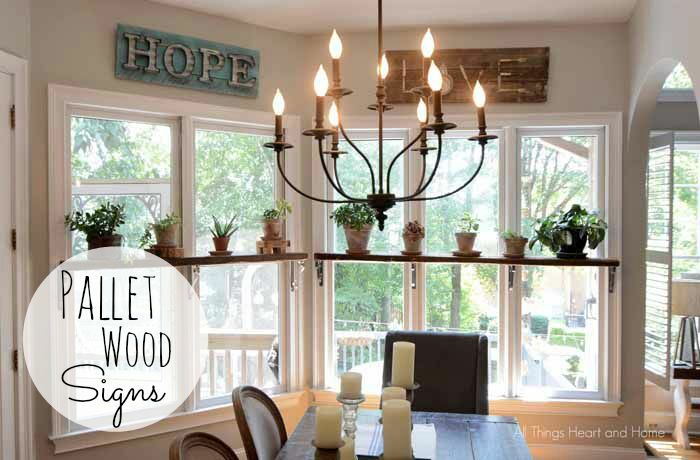 Such a simple DIY but really looks amazing in your dining room! I love this. I have been trying to get more diyee since we bought our own home but its coming a long slower than I’d hoped. This though, I need this! I can’t wait to give this a try! I’d love for you to come link up at Throwback Thursday’s and share some of your stuff! What a beautiful combination of color, materials, and message! Just perfect for that space (and I LOVE those plant shelves across the windows, stunning!). Robin, I love it!! And I love the teal too. It’s so pretty and unique. Great job! I love your signs! And the colors you picked for them. Your sign turned out beautiful! Thanks for linking up to the Creative Exchange.